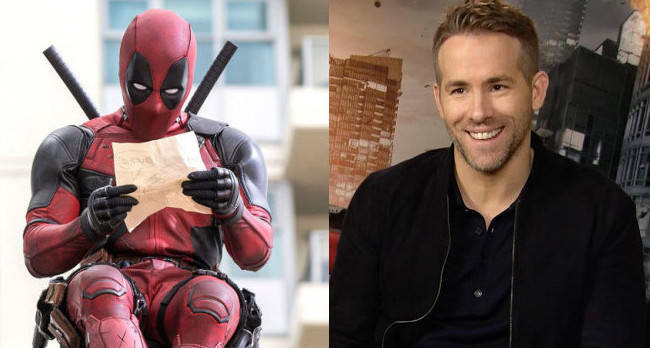 When it comes to Ryan Reynolds and Deadpool, they share a surprising amount of things in common to the point that fans have now started to wonder if the two are actually the same person. And, with Ryan’s latest Twitter update, he reminds fans of yet another commonality that he and the mercenary share: Fatherhood. While Deadpool suddenly stumbled into fatherhood when his daughter Eleanor Camacho entered the assassin’s chaotic life, Ryan Reynolds embraced fatherhood back in 2014 when he and his wife, Black Lively, welcomed their daughter James. While the couple has kept quiet about their daughter to protect her privacy, Ryan has been very active on Twitter to update fans on how he's taking to parenthood. And, as today is Father’s Day, the actor decided to define just what responsibility means to fathers everywhere. In the tweet, he writes, “Being a father means responsibility. Not just for your main family, but also the secret one in Denmark nobody knows about.” The hilarious quip is just one of many tweets which Ryan has penned following his entrance into fatherhood. The actor has a series of tweets in which he describes the highs and lows of child-rearing by commenting on baby clothes, parenting books, and even tattoos for babies. One of Ryan’s most popular tweets about his parenting escapades reads, “My daughter's only 6 months old and already drawing. I'd hang it on the fridge but honestly, it's absolute garbage,” and the tweet has been shared numerous times by surely sympathetic parents. While it’s not confirmed if Deadpool has a Twitter where he shares his own stories on fatherhood, fans do know that the masked hero does adore his daughter as he’s taken her trick-or-treating and even liberated her from kidnappers who were unfortunate enough to cross him. And, soon, fans may get even more wise words from Ryan Reynolds about parenting as US Weekly confirmed earlier this year that the actor and his wife were expecting their second child. A big congrats to the couple! And, as fans, we're all looking forward to Ryan's upcoming updates whenever he should reach another parenting milestone.